Crash shuts down EB Eisenhower at Mannheim Rd. 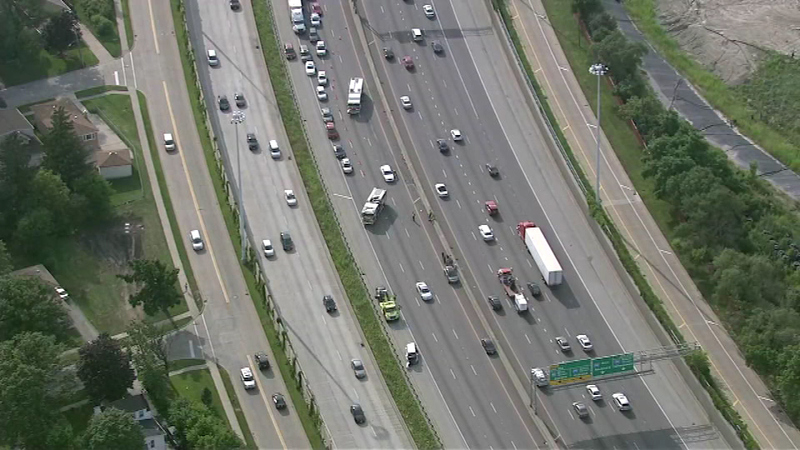 All lanes of the inbound Eisenhower Expressway are closed at Mannheim Road because of a crash. BELLWOOD, Ill. (WLS) -- All lanes of the inbound Eisenhower Expressway are closed at Mannheim Road because of a crash Friday afternoon. Several vehicles are involved, but there are no reports of any injuries. Crystal Lake holds vigil to "light the way for AJ"